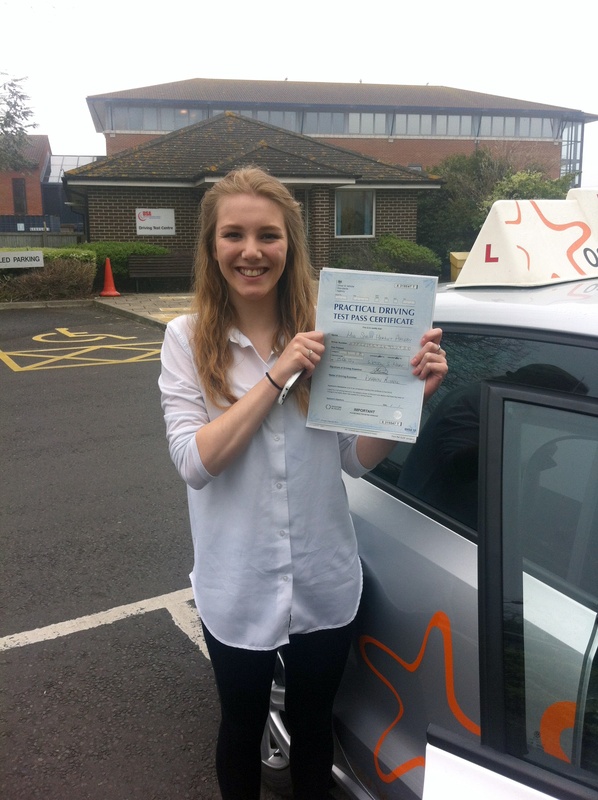 Jess with her Practical Driving Test Pass Certificate outside Weston-super-mare Driving Test Centre. Many congratulations to Jess Phillips from Ston Allerton, who passed her Practical Driving Test on Thursday 23rd April 2015 with just 3 minors at Weston-Super-Mare driving test centre. Well done from your Driving Instructor Andy Skyrme and all the team at Starfish Driving. Great drive. Have fun in the States and I’ll see you when you get back for your Pass Plus. 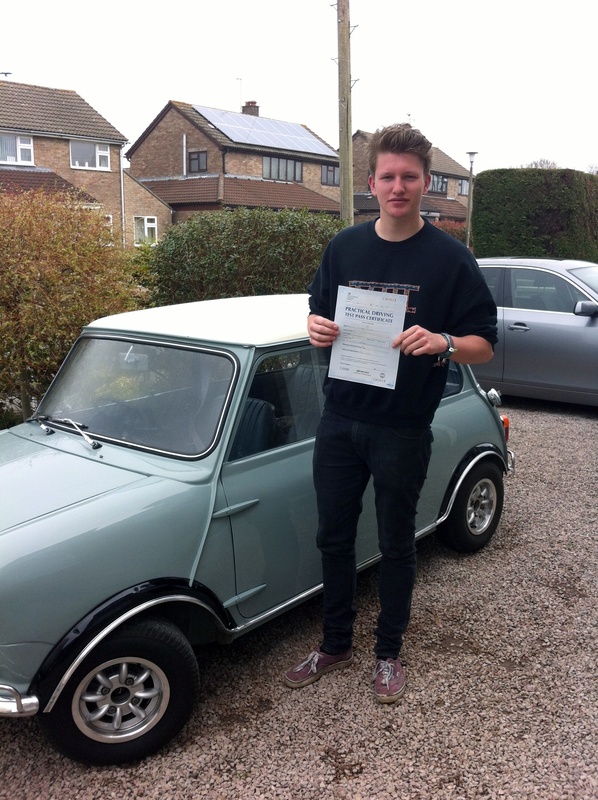 Sam with his Practical Driving Test Certificate outside Weston-Super-Mare Driving Test Centre. 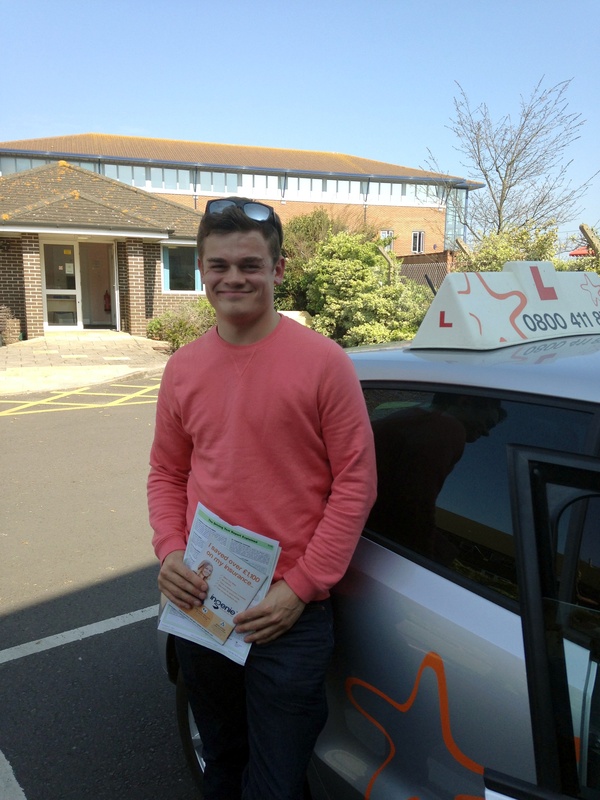 Many congratulations to Sam Evans from Wrington who passed his Practical Driving Test with just 5 minors on Monday 20th April 2014 at Weston-Super-Mare driving test centre. All the best from your Driving Instructor Andy Skyrme and all the team at Starfish Driving. What a great way to celebrate on your birthday?! Great drive, now on with Motorway training! 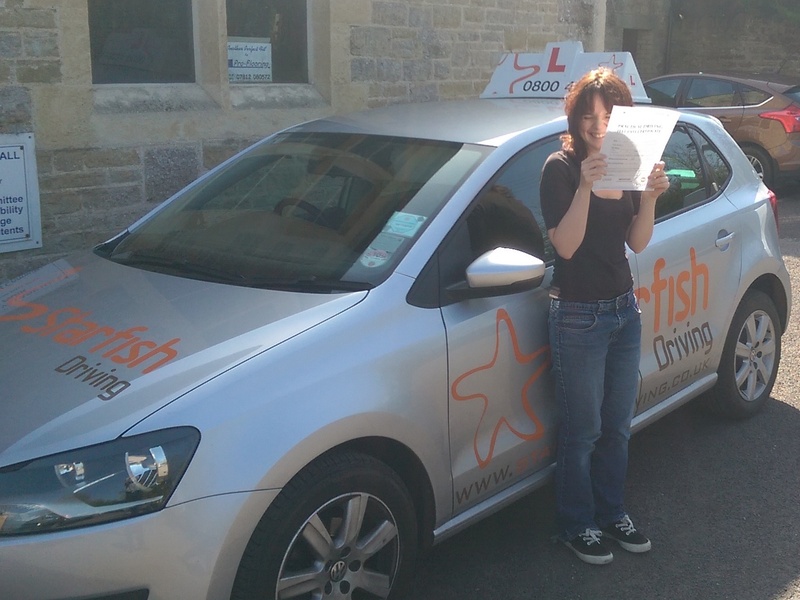 Sarah with her Practical Driving Test Pass Certificate outside Weston-super-Mare Driving Test Centre. Many congratulations to Sarah Appleby from Compton Bishop who passed her Practical Driving Test with just 3 minors on Wednesday 15th April 2015 at Weston-super-mare driving test centre. All the best from your Driving Instructor Andy Skyrme and all the team at Starfish Driving. 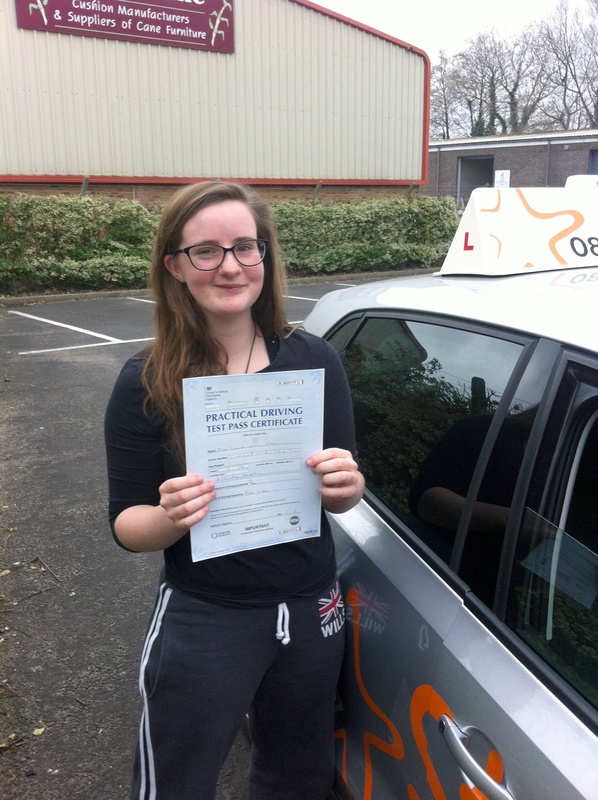 Many congratulations to Lauren Cleave of Wedmore who passed her Practical Driving Test first time with just 3 minors on Monday 16th March 2015 at Weston-Super-Mare driving test centre. All the best from your Driving Instructor Andy Skyrme and all the team at Starfish Driving. Now on with Motorway training. Beth with her Practical Driving Test Pass Certificate. 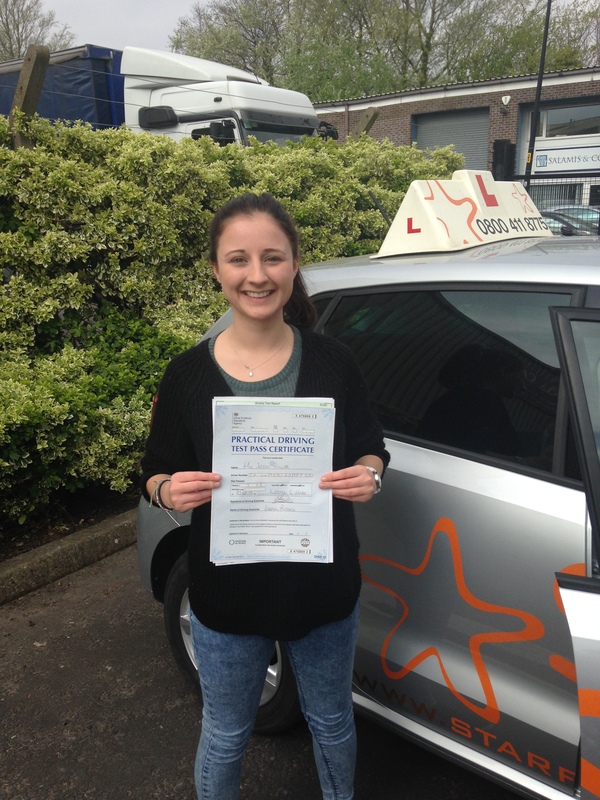 Many congratulations to Beth Lazzarato of Burnham-on-Sea who passed her Practical Driving Test with just 3 minors on Wednesday 15th April 2015 at Weston-Super-Mare driving test centre. All done for a fantastic drive from your Driving Instructor Andy Muir and all the team at Starfish Driving. Congratulations to Danielle Lloyd from Worle who passed her Practical Driving Test on Wednesday 15th April 2015 at Weston-Super-Mare driving test centre with just 4 minors. 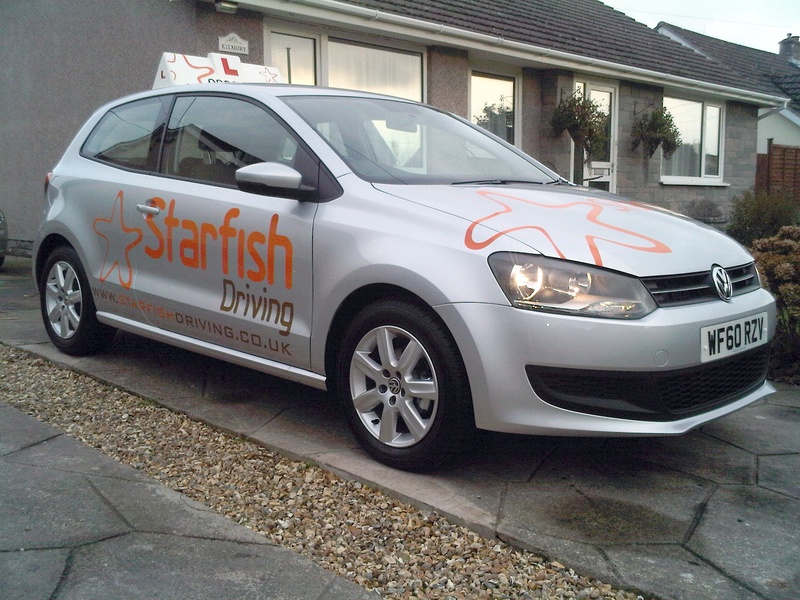 All the best from your Driving Instructor Andy Muir and all the team at STARFISH driving.